"I have huge respect for what they've built – their business and my equipment. Their professionalism and attention to detail, which is what it is all about, is second to none." 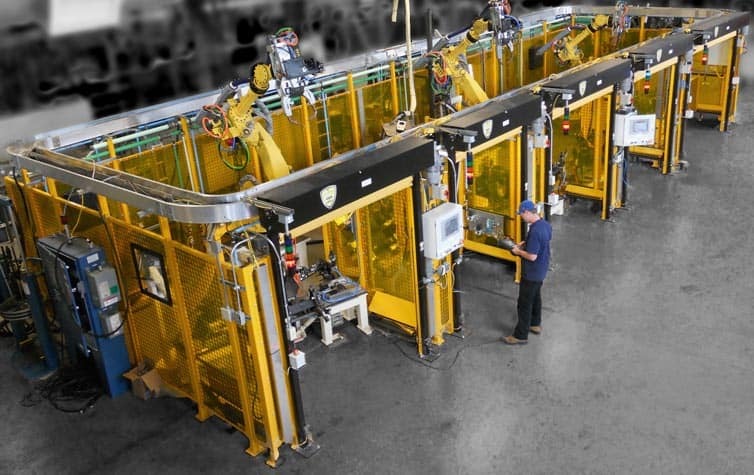 Simulation, coordinated motion, integration with vision systems and material handling, along with the best in industry fixtures have made us arguably the most flexible welding solution provider in North America. BOS turnkey automation is complete with 3D designs and simulation, best in industry tooling and fixturing, with state of the art control and integration. We have the team, the technology, and the process to make your project a success. 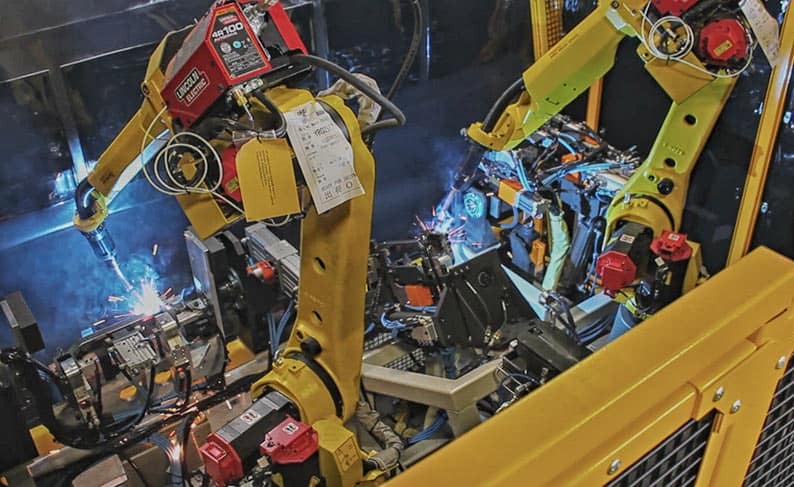 With decades of experience across many different industries, we will find innovative and profitable solutions for your welding automation project. 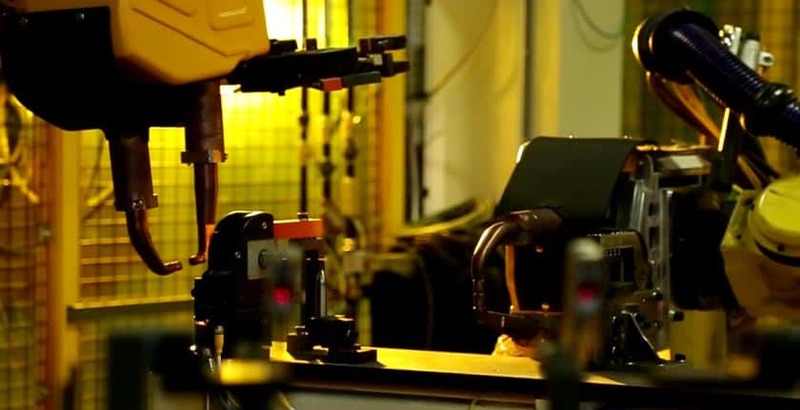 BOS has the team and technology to achieve highly complex and integrated spot welding applications, including highly flexible automation for spot welding including other technologies such as sealant application, stud welding, multi-stage fixturing, adaptive welding, vision integration, material handling and tool changing. Our design, simulation and weld/process mapping not only minimize floor space but also reduce fixture costs while maximizing productivity and flexibility – all while reducing your project risk. Whether its galvanized steel in the automobile industry or small intricate non-ferrous metals in medical or aerospace that require precision control, we have the experience and process to make sure your parts join perfectly. Starting with best in industry tooling and fixturing is a must; add to this a solid engineering approach to your process complete with full testing, path generation and simulation, and BOS is your best source for customized welding applications. In industries such as aerospace, medical and electronics; traditional welding applications are often not desirable because minimal heat distortion or precise control over penetration is required. 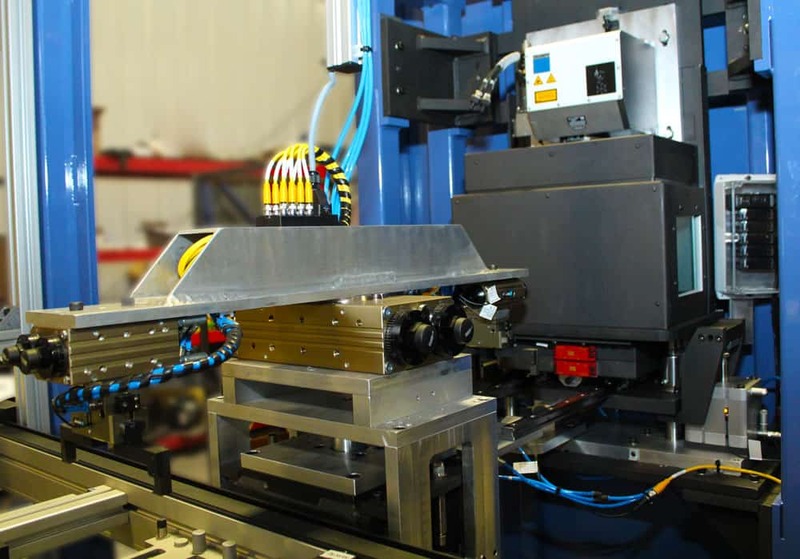 Using cutting edge laser welding technologies, precision and controllable processes and tooling, BOS will ensure accurate and repeatable quality results that exceed your expectations.